Have you heard the terms structuralism and deconstruction and postmodernism but aren�t really sure what they mean? Have you taken a whole course on literary criticism but are still feeling lost? Here�s the book you need to sort it all out�and enjoy doing so! So sit back, relax, and take it all in! 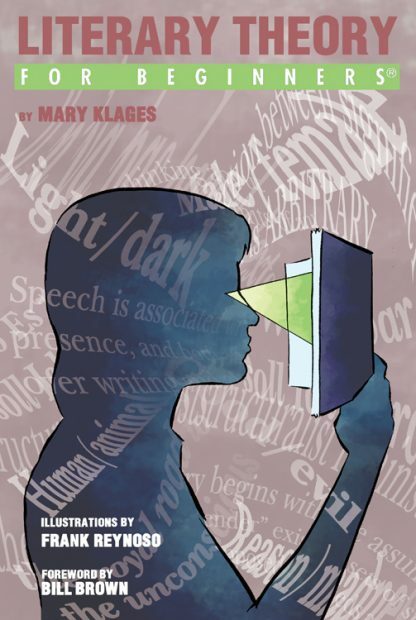 Mary Klages is an associate professor in the English Department of the University of Colorado at Boulder. She is the author of Literary Theory: A Guide for the Perplexed(Continuum, 2006) and Key Terms in Literary Theory (Continuum, 2012), as well as scholarly works in the fields of American literary history and Disability Studies. Visit her at http://english.colorado.edu/mary-klages/. Frank Reynoso is a Brooklyn-based writer, cartoonist and illustrator. His comics have appeared in BRKLYNR, Mint, World War 3 Illustrated, and Occupy Comics. And he's done illustrations for The Physics of the Impossible on the Science channel, and Mayfair Games. He enjoys horror, science fiction, and comedy with a glass of wine.